“Once upon a time, there was a little ogre named Shrek….” And thus begins the tale of an unlikely hero who finds himself on a life-changing journey alongside a wisecracking Donkey and a feisty princess who resists her rescue. Throw in a short-tempered bad guy, a cookie with an attitude and over a dozen other fairytale misfits, and you’ve got the kind of mess that calls for a real hero. Luckily, there’s one on hand…and his name is Shrek. 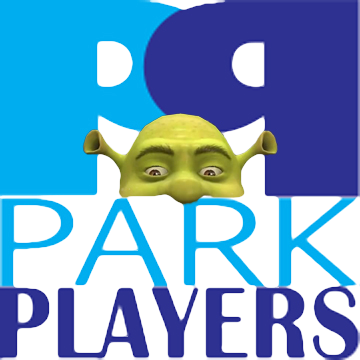 The Park Players will present Shrek The Musical, a Tony Award-winning fairy tale adventure, featuring all new songs from Jeanine Tesori (Thoroughly Modern Millie; Caroline, or Change) and a sidesplitting book by David Lindsay-Abaire. Our show will be directed by Barbara (Barbie) Weisserman, music direction by Elizabeth Fisher. **When: **Wednesday, January 17 at 7:00 -10:00 p.m.
We welcome all ethnicities and all ages 16 and over. Please come prepared with sheet music (preferred) to sing. Everyone should be prepared to move and dancers be prepared to dance with appropriate clothing and footwear. Please bring a listing of any known rehearsal conflicts.